From the JS Giguere and Jonathan Quick surges to the forgettable performance of Roberto Luongo against Boston, goalies are always in the spotlight come playoff time. This postseason, there are wide ranges of goaltending situations. A few of the goalie situations are, well, not great. Whether it be due to injury or bad history, these goalies won’t be calming too many nerves. Streaking goalies have been the norm in Detroit all year. After a fast start, Jimmy Howard slumped and lost his starting job to Petr Mrazek. The youngster was one of the best netminders in the league for nearly two months. But then Mrazek fell off after two five goal struggles in February. Howard turned it on a bit but the Wings limped to the finish. While both have been lights out at times, inconsistencies are unaffordable this time of year. With Jaroslav Halak confirmed out for at least the first round, the Isles will have to rely on a bright-eyed rookie of the playoffs. Thomas Greiss relieved Evgeni Nabokov in 2010, where he gave up 2 more goals on 28 shots, and has yet to reach the postseason ice since. There is nothing that says rookies can’t excel in the playoffs, but it is a tall task. 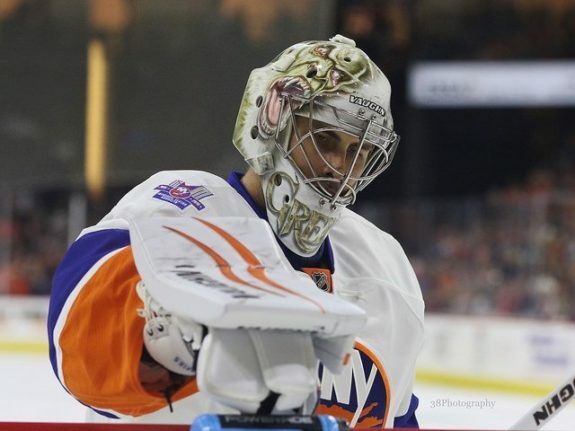 Greiss was very good this season; a .925 save percentage and a 2.36 GAA which was actually better than Halak’s. But stats don’t win Cups. It is hard to believe that Pekka Rinne is considered one of the problem situations. Of 23 netminders in the playoffs, he ranks 20th in save percentage. This year has been one of his worst of his career. The .908 save percentage and 2.48 GAA were both well below his career average. 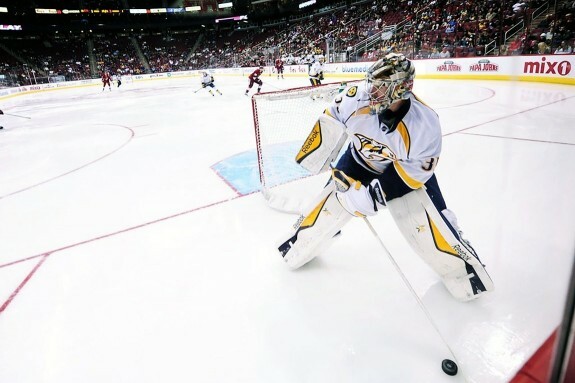 Perhaps a product of a diminished defensive core, the Predators goalie has struggled. Count me down as not a fan of the goalie tandem. While both Antti Niemi and Kari Lehtonen have been good, neither strikes fear into opponents’ hearts. They both rank in the bottom six of playoff goalies in save percentage. Which makes the Stars the worst save percentage team in the postseason. Good thing they have that offense, huh? 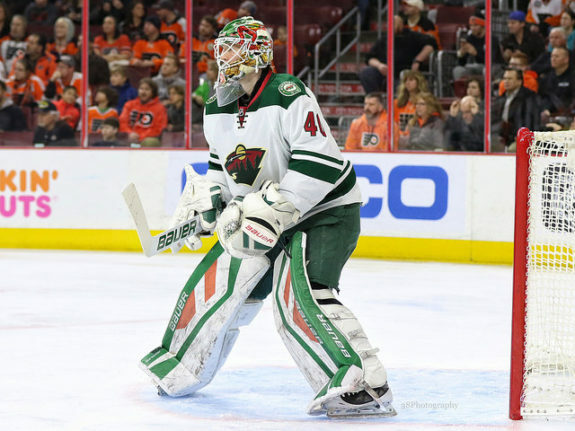 Devan Dubnyk carried the Wild into the postseason last year. This year, he has been solid, but nothing close to the show we witnessed last season. Perhaps if he hadn’t shown us such a high level of play before, maybe there wouldn’t be criticism now. But, as of now, it looks like he has regressed. Pittsburgh is unlucky to be this far down the list. Marc-Andre Fleury is one of the most accomplished goalies in the playoffs. But with two concussions this season, Fleury is severely weakened. If he is unable to play, the Penguins must rely on very inexperienced backups. If Fleury’s health were not in question, this team would be much higher on this list. A month ago, there was no reason to believe anyone but Martin Jones would be in net come playoff time. Now, the goaltending duties could be in question. Jones was solid in his first year in San Jose, a .918 save percentage and 2.27 GAA were above league averages. James Reimer, acquired late in the season, has been dominant in teal with a .938 sv% and 3 shutouts. Neither goaltender has extensive playoff experience, but both are solid choices to steal a game or two. The Ducks are a top-six save percentage team. Frederik Andersen and John Gibson have enjoyed being behind the best defensive team all year. When the Ducks struggled those first few weeks, it wasn’t their goalies that were to blame. The Ducks have had the luxury of being able to choose the hot hand, but tandems still aren’t my cup of tea. 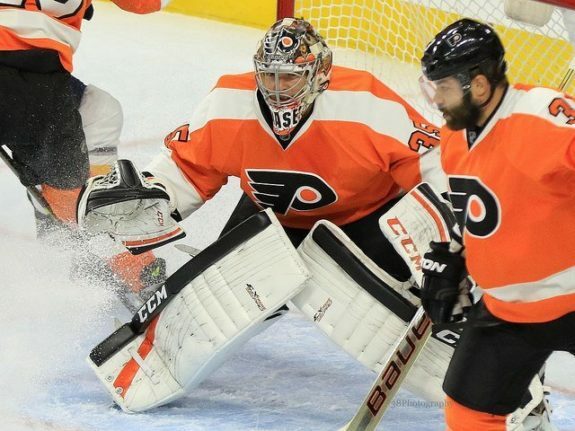 Steve Mason’s back must be tired, because he has carried this Flyers team the last month. Mason started 13 of the last 14 games and even played through four back-to-backs since March 1st. At even strength, Mason was third best among playoff teams with a 93.53 save percentage. He was second best in the adjusted save percentage as well. As long as fatigue doesn’t overtake him, Mason could do well. The hilarious Twitter, the collapse to Boston, the career revival. Roberto Luongo has had quite the history. Luongo has been incredible, but because he is getting on years, it would not be strange to see him drop off. The Panthers goaltending situation is settled, experienced, and in better shape than most in the NHL. He’s won two Cups, gets the luxury of not facing Patrick Kane, and frequently rises to the occasion. Corey Crawford is 5th among qualified goaltenders in save percentage and boasts the most shutouts this year at 7. No pressure situation seems to overwhelm him, and Stanley Cup brings the most pressure. 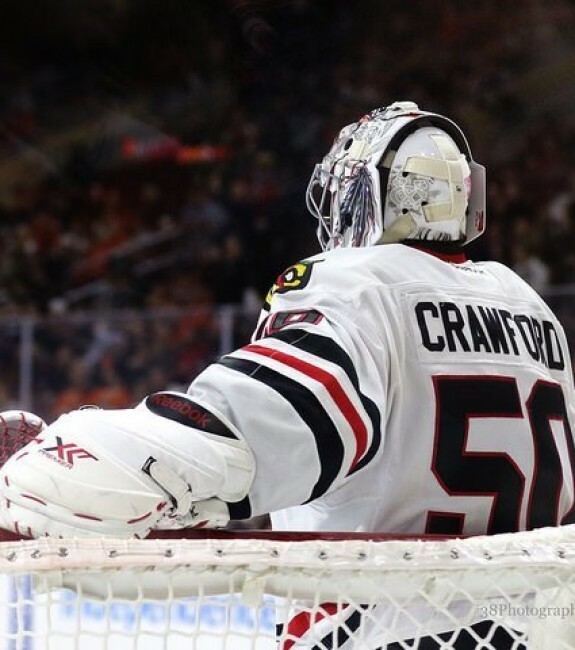 There isn’t a stat that can measure that, but Crawford would be a leader in it. Goaltending duos are effective in the regular season. Whether goaltending duos can work in postseason play remains to be seen. Brian Elliot and Jake Allen combined to create the league’s best save percentage. Neither Blues goalie is experienced in the playoffs, but if one struggles, the other would be a fine choice to fill in. The Rangers don’t hold the puck very often. Which means the man at the back is busy. 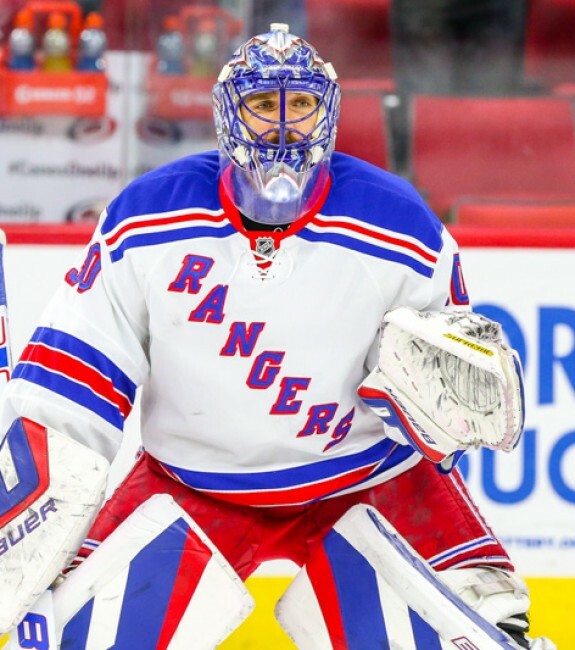 Henrik Lundqvist needs little introduction, but here’s this year’s resume. He leads the league in saves, 1788, over 100 more than the next playoff goaltender. Without him, the Rangers might not even be here. We all know what Jonathan Quick is capable of doing. He can win entire series. But he is also prone to over-aggressive play. His goaltending style is high-risk, high-reward. 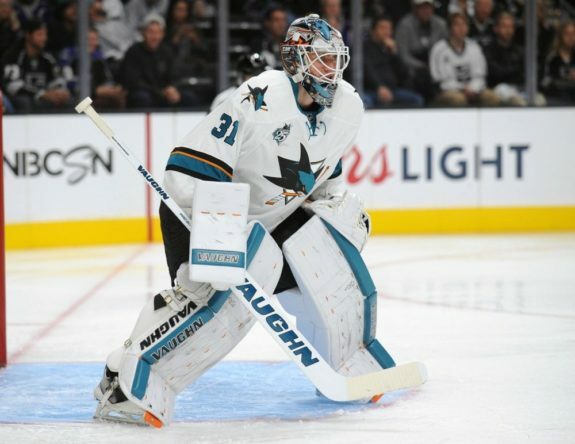 Quick is a brilliant shot stopper, but as the Sharks showed two seasons ago, he is not impervious. But as the Sharks also learned, Quick can bounce back within a series. Ben Bishop had the highest save percentage of goalies working alone (.926). He wins outright for GAA (2.06) and is tied for second in shutouts with 6. The Lightning will not depend on their goaltending, but they also won’t have to worry about their giant in the back. Braden Holtby is really in a league of his own. With a postseason save percentage (min. 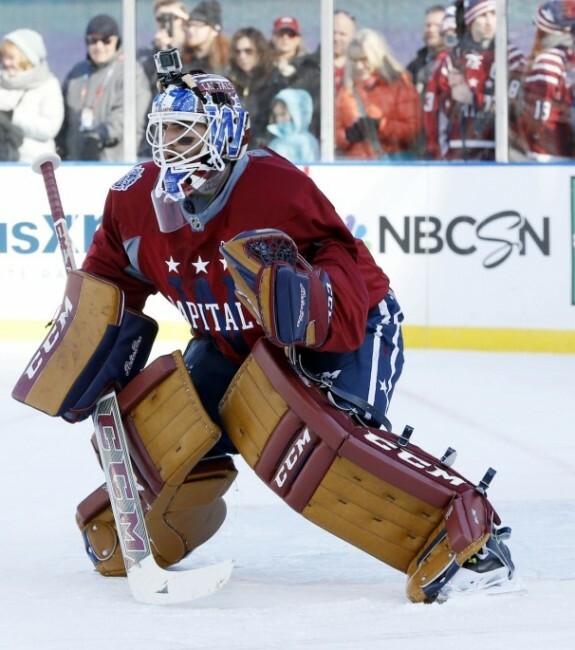 20 games) of .936, the Capitals netminder seems to thrive in the biggest situations. Holtby sits along goaltending legend, Marty Brodeur, with 48 wins. The Caps goalie has been a steadying force all season. He played in 66 games, which may lead to fatigue, but his best is usually saved for the postseason.